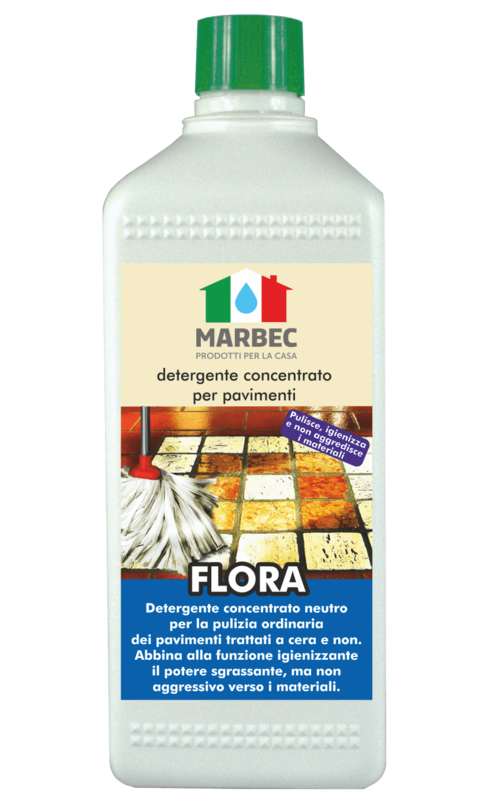 Not aggressive concentrated cleaner to clean floorings in cotto, natural stone, cement agglomerate, that have been treated with waxes. It cleans and sanitizes the surface keeping the brilliance of treatment during the time. It leaves a pleasant odour in the environment of lemon and mint. Diluted 1: 1-4 parts in hot water: to remove considerable dirt, consisting in the periodic cleaning of the treated surfaces. Diluted 1: 20-30 parts in water (a glass in 8-10 litres of water): for normal dirt in the periodic cleaning of the treated surfaces. Diluted 1: 50-60 pieces in water (1/3 of glass in 8-10 litres of water): for the daily washing of the floor treated surfaces. 1 lt – 5 lt.